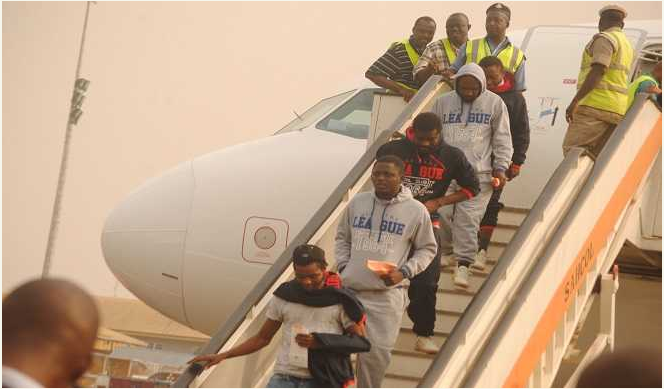 Barely a week after no fewer than 162 Nigerians were brought back by the Federal Government from Libya, another batch of 171 Nigerians were Tuesday deported. They were brought into the country through the Murtala Mohammed International Airport, MMIA, Lagos. They landed at the cargo section of the airport at about 4p.m. 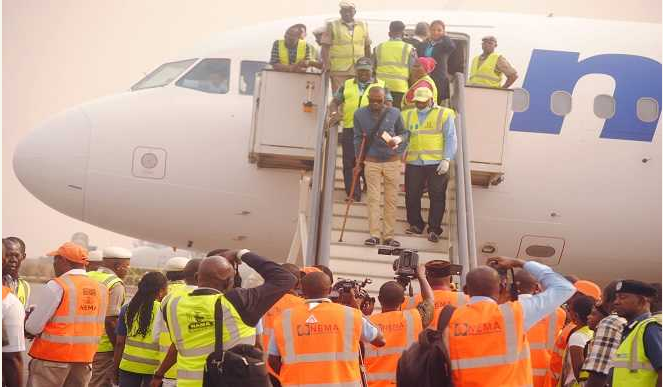 The Libyan returnees were brought back courtesy of the FG and the International Organization for Migration, IOM. The Federal Government, however, assured that the evacuation programme from Libya, being the seventh in about 14 months, will not continue endlessly, but would soon be wrapped up. Recall that after videos and pictures of the killing of black immigrants in Libya were circulated online, the FG had warned Nigerians to stay clear of Libya. The Senior Special Assistant to President Muhammadu Buhari on Foreign Affairs and Diaspora, Abike Dabiri-Erewa, said although the authenticity of the pictures and tapes in question could not be verified, it was a known fact that Libya had been allegedly executing black immigrants illegally for years.